Champion of regeneration, the freshwater polyp Hydra is capable of reforming a complete individual from any fragment of its body. It is even able to remain alive when all its neurons have disappeared. Researcher the University of Geneva (UNIGE), Switzerland, have discovered how: cells of the epithelial type modify their genetic program by overexpressing a series of genes, among which some are involved in diverse nervous functions. Studying Hydra cellular plasticity may thus influence research in the context of neurodegenerative diseases. The results are published in Philosophical Transactions of the Royal Society. The researchers compared gene expression at various positions along the body axis in polyps devoid or not of their nervous stem cells. They observed a modification of the genetic program in animals depleted of these cells: &laquowe identified 25 overexpressed genes in epithelial cells, the cells forming the Hydra's coating tissues. Some of these genes are involved in diverse nervous functions, such as neurogenesis or neurotransmission», says Yvan Wenger, co-first author of the article. &laquoEpithelial cells do not possess typical neuronal functions. However, Hydra's loss of neurogenesis induces epithelial cells to modify their genetic program accordingly, indicating that they are ready to assume some of these functions. These "naturally" genetically modified epithelial cells are thus likely to enhance their sensitivity and response to environmental signals, to partially compensate for the lack of nervous system», explains Wanda Buzgariu, co-first author of the article. The detail of these new functions remains to be discovered, as well as how epithelial cells proceed to overexpress these genes and thus adapt their genetic program. Studying Hydra's cellular plasticity may be relevant in the context of neurodegenerative diseases. Indeed, some of the genes identified in this animal play an important role in cellular reprogramming or in neurogenesis in mammals. The researchers therefore wonder: would it be possible to restore sensing or secretion functions from other cell types, when some neurons degenerate? This study also allows to go back to the origins of nervous systems. Epithelial cells most probably preceded nerve cells, performing some of their functions, although in a much slower way. 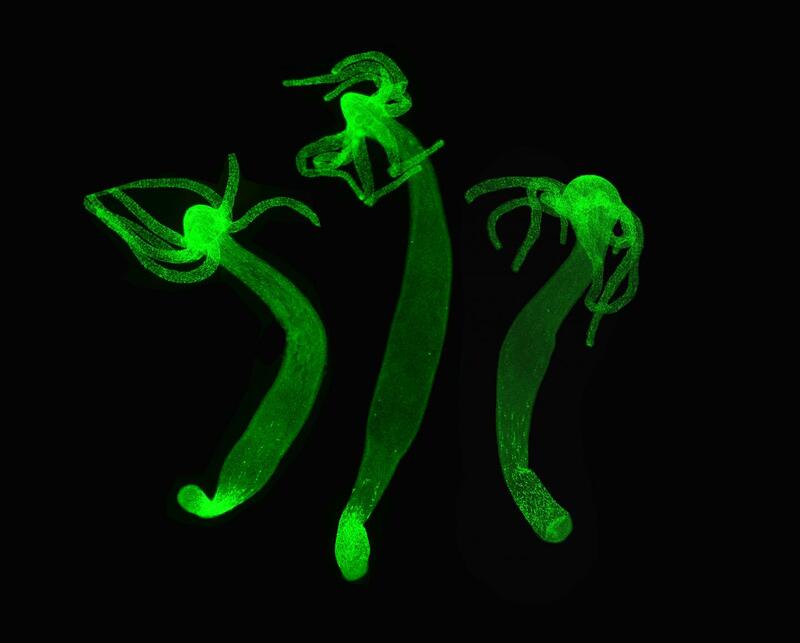 &laquoThe loss of neurogenesis in Hydra may provide an opportunity to observe a reverse evolutive process, because it sheds light on a repressed ancestral genetic toolkit. An atavism of epithelial cells, when they most probably also possessed proto-neuronal functions», concludes Brigitte Galliot.